Enter the turbo era. crankandpiston.com takes a spin in Ferrari’s first road-going turbocharged model since 1987. Delve into the scarlet history books and the California – strange as it may seem – will emerge as one of the greatest Ferraris to roll off the production line. In a purely fiscal sense, of course. In the five years following its debut in 2009, the California solid some 10,000 units, 70 per cent of which went to first time buyers. Quite a change to the couple of thou of Ferrari’s elite models normally up for grabs. And yet, to Maranello purists, the California was far from a ‘proper’ Ferrari. Deviating from the time-honoured brand attributes set by old man Enzo himself, the California championed everyday civility over exceptional driving as a Prancing Horse available to the masses, rivalled the latest from Mercedes rather than the top bananas at Lamborghini, and retailed nearer the $200K mark as opposed to the quarter of a mill being asked for the range-topping 458 Italia. To many, the California was very much Ferrari’s Porsche Cayenne. It seems ironic that, as the second-generation California T arrives on the scene, the purists are once again up in arms, their angst this time aimed at that ‘T’ on the rear bumper. 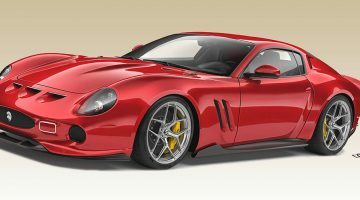 The first turbocharged road car since the lunatic F40 in 1987, the California T opens the doors to a brand new era at Maranello, little of which includes natural aspiration (the recently unveiled 488 GTB rubber-stamping this). Signs are though that the newboy is much more than the soft and ugly model heading towards the exit. 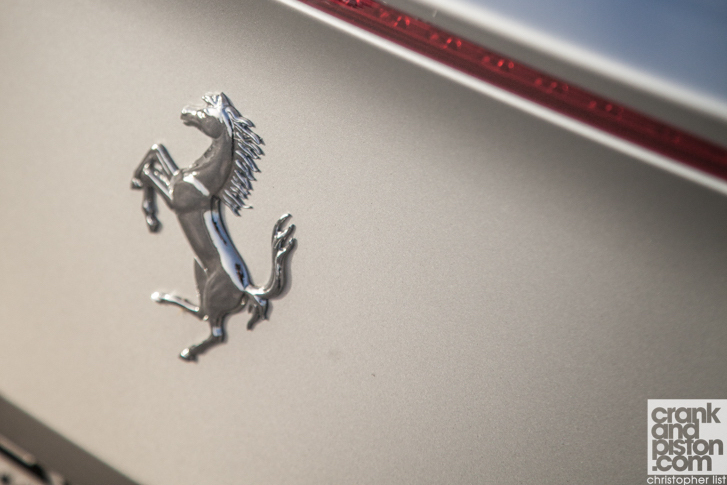 There’s a new look for starters, a sleeker, more aggressive design reminiscent of the FF and F12berlinetta at the front and sans stacked tailpipes at the rear: on the blank sheet of paper in the Maranello design studio, only the hard-top folding roof has survived. As did the 14 second folding time. Under the surface there’s been yet more updates, including new generation carbon brakes, updated software for the traction control, almost totally un-spell-able magnetorheological dampers for a more optimised (and stiffer) chassis setup, and more stiffly sprung suspension springs, all in the name of improved manoeuvrability. And as crankandpiston.com’s introductory spin in the newboy has revealed, it’s made an impressive difference. Steering in the California T – while not boasting 458-levels of urgency – is impressive, a little neutral perhaps through the corners but far more responsive than that in the model it replaces. There’s improved balance through the turns to, 53 per cent of that 1729kg kerb weight over the rear axle providing a greater sense of agility at the front. There are still hints of vagueness in the steering under load, but then, as the diminutive rear seats remind us, a full bore sports car the California T is not. As evidenced also by the ride comfort, unaltered old-to-new even with that taut suspension setup and stiffer chassis. But ah, what of the elephant in the stanza, namely that new 3855cc twin-turbo engine? Sorry to disappoint the purists yet further but, simply put, it’s a peach. One that spent four years in production having the wrinkles ironed out. Power over the departing 4.3-litre V8 jumps 63bhp to 552bhp, plus an increase from 187lb ft to 557lb ft of torque for an all-new 0-100kph time of 3.6 seconds and a 315kph top speed. This being Ferrari of course, that’s only half the story. 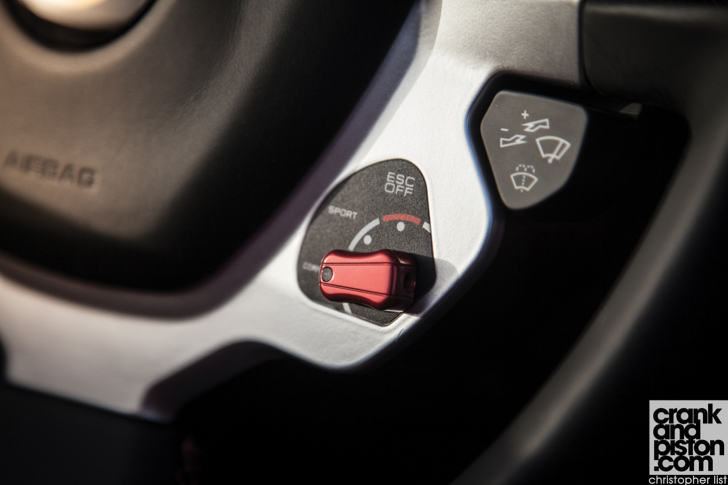 Take for instance the torque curve and the Variable Torque Management system, designed to emulate the ferocity of a naturally aspirated Ferrari unit all while utilising the fuel saving prowess of a turbocharged unit. Top torque available in the first three gears therefore is a paltry 443lb ft, the peak of 557lb ft only available in seventh gear and the high revs therein. In the slower turns, torque is restrained to keep the rear wheels in check and avoid crumbling the tyres to dust. Straight-line acceleration is consequently less frenetic than the segment-rivalling Porsche 911 Turbo S, but pick-up is far from linear, the steady build-up of both torque and revs combining for effortlessly rapid speed. Albeit one without that familiar raw V8 soundtrack. There’s a crisp resonance that escapes the exhaust pipe certainly, but it’s a sound that nevertheless lacks the aural punch of a naturally aspirated V8. 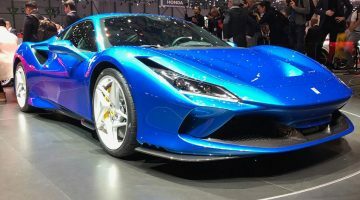 Of course this being a GT car, Ferrari has stated – on more than one occasion – that this will only be demonstrated to the full when a turbo-ed Ferrari sports car hits the road (all eyes, once again, on that 488 GTB). 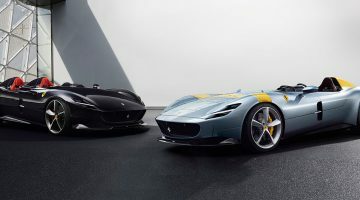 That the California T may still not be a ‘proper Ferrari’ to the naysayers remains to be seen, though as a complete package, the GT has made a huge step over its outgoing counterpart. The gulf to the Ferrari headliners remains, but it’s a seriously impressive mx of poise and civility that’s elevated the California to new heights. Whether the purists ultimately feel the same way about Ferrari’s new turbo era remains to be seen.